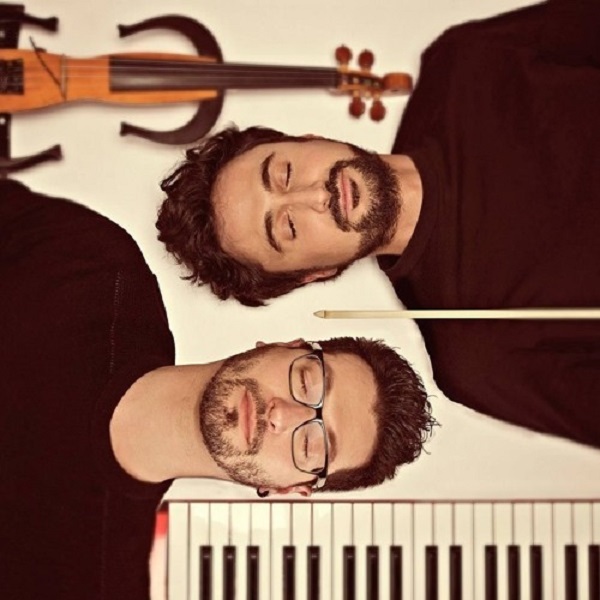 Innovative Italian duo Armonite’s music is a true feast. If you have to put a label on their work, it would be Neo-Classicism. But as is usually the case with great, experimental, sweeping music, labels simply don’t suffice, and in that spirit, “Freaks” and “Clouds Collide” are best described as true works of art. “Freaks” is really something to behold. It starts off with a sinister, somber piano melody which instantly conjures one thing and one thing only – a horror film. And not just any horror film – the kind that actually has a story. In fact, the beginning of the song creates a very ominous fairytale vibe, made all-the-creepier by the haunting whistling that soars after the piano. However, the ambiance suddenly leaves the horror realm and enters the sci-fi one, with an array of experimental, futuristic, and alien-like sounds taking over for a while until the cycle repeats. It’s definitely a strange combination, and I personally would have liked a little more consistency, especially being very into the horror part, but an intriguing choice nonetheless. Overall, the song is made for a film, be it horror, sci-fi, fantasy, or better yet – a peculiar blend between the three. “Clouds Collide,” on the other hand, couldn’t be any more different, mostly in its overall vibe. Even though strictly musically speaking, you can definitely see how the two songs can come from the same artist, “Clouds Collide” is softer, milder, more innocent and linear, or in other words, more normal. It’s also reminiscent of a fairytale song, but something more along the lines of Disney rather than Pan’s Labyrinth. It features some very gentle vocals and a playful harmony of melodies and singular sounds. If there’s a common denominator between “Freaks” and “Clouds Collide,” it is that they’re both distinctive testaments to their creators’ sweeping skills and aptitude for making vivid, complex, experimental, and wondrous music, particularly suitable for films of similar qualities. What’d you think about their songs? Let me know in the comments below and be sure to leave your own ratings and reactions to the music. If you have to put a label on "Freaks" and "Clouds Collide," it would be Neo-Classicism. But as with most experimental, great music, labels don't suffice.